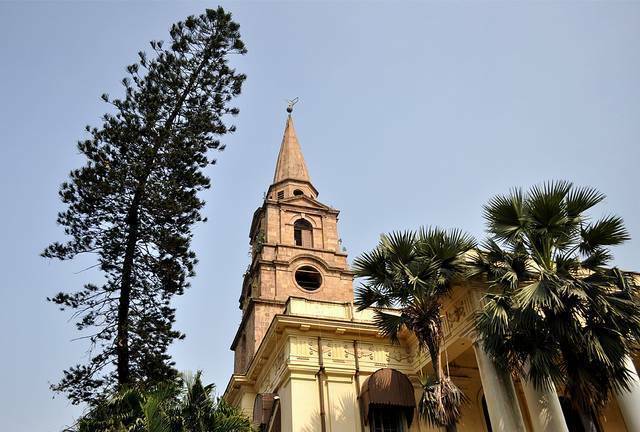 St. John's Church is a 17th century church which was the first public building constructed by British in Kolkata when the city served as capital for British raj. St. John’s Church, the 3rd oldest church in Kolkata is situated within the Raj Bhavan complex. Built up in neoclassical architectural style, the church is square shaped. The 174 feet tall spire is the most striking feature of the church. Number of tombs and memorials can be seen within the church compound. St. John’s church has a simple main altar. Color stained glass panels decorate the ceilings of the church.